CAEH - CAEH welcomes new investment in rental housing in Budget 2019 – calls on all parties to support urgent action to solve Canada’s homelessness crisis. The CAEH welcomes new investment in rental housing, building on the Federal government’s ground-breaking National Housing Strategy, but reiterates federal housing investments should prioritize those in greatest need. In Budget 2019 the federal government made important new investments in housing reflecting Canadians’ concerns about housing affordability. Unfortunately, that investment was focused on ‘middle class’ Canadians and very little of that new investment will reach those Canadians for whom the lack of housing is a matter of life and death. Every year 235,000 different Canadians experience homelessness including as many as 35,000 on any given night. Federal shelter statistics show families and seniors are the fastest growing population in emergency shelters and Indigenous Peoples are 10 times more likely to spend time in an emergency shelter than non-Indigenous people. “Homeless is a crisis that demands urgent action and a focused response,” said Tim Richter, President & CEO of the CAEH. “This government has made the biggest investments in housing and homelessness of any federal government in over 30 years, they’ve made important progress in poverty reduction and in this budget have some promising measures for low-income Canadians, but we remain concerned that housing investment will not reach those in the greatest need. “We know from Canadian and international experience that unless you build rent-geared to income and supportive housing specifically for people experiencing homelessness, it’s far less likely that housing homeless people can access will get built. 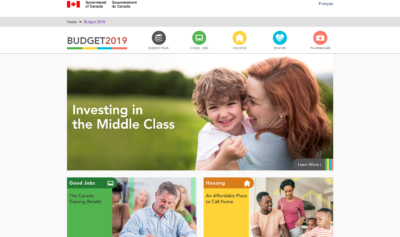 Budget 2019 expanded the withdrawal limit under the First Time Home Buyers Plan and created a new First Time Home Buyer Incentive. The previously announced Rental Construction Financing Initiative, originally scheduled to be in place for four years, was extended to nine years, and provided with an additional $10 billion. The Alliance was hoping to see a commitment to the right to housing in the budget. Buried in the budget are a list of legislative measures (including the National Housing Strategy) that the government plans to introduce in the Budget Implementation Act. This legislation could include the right to housing. For the last year a broad national coalition, including the CAEH, has lobbied the federal government to introduce a legislated right to housing consistent with international human rights standards. The CAEH remains hopeful National Housing Strategy legislation will include the right to housing.